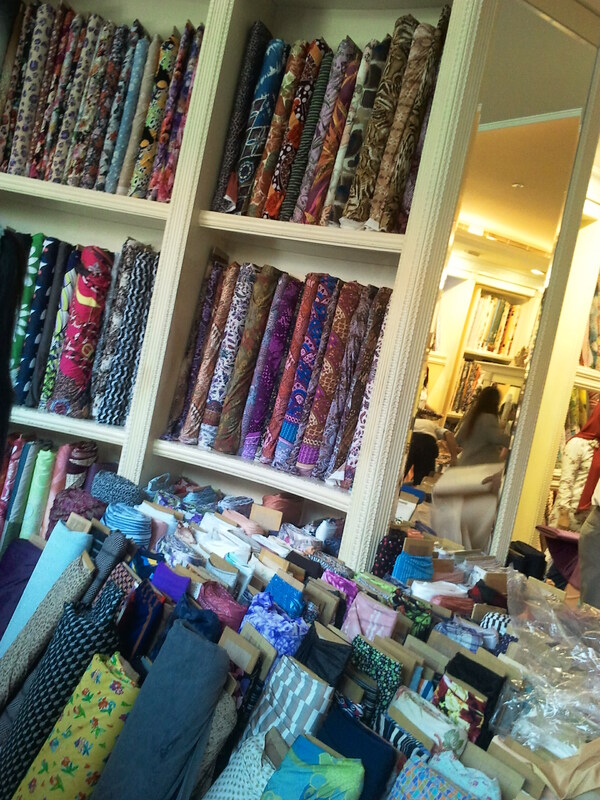 Look no further than Jalan Sulawesi and Jalan Gajah Mada in Denpasar for fabrics aplenty! These two streets are dedicated to fabrics only. Whether you’re after suiting, dress, curtain or soccer motif fabric these streets of remarkable fabric are a dressmaker’s heaven. There are big savings to be made here! For example: buy sufficient lengths of linen to suit your large, festive Christmas dining table, then have it hemmed at a local tailor for a quality tablecloth. 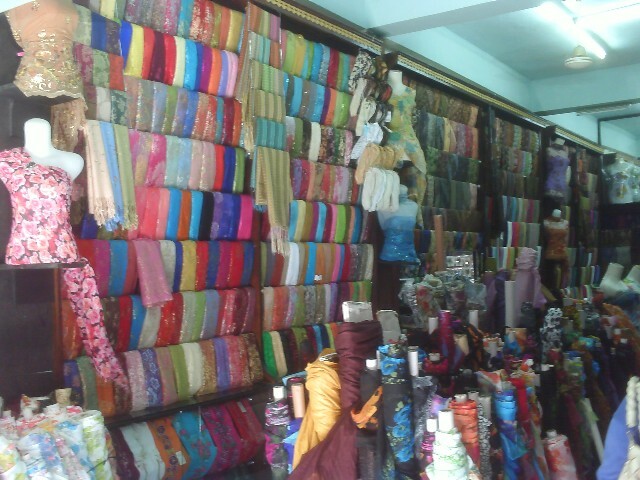 Batik, silks, quilting material, ornate lace….the selections are endless and the prices are low, eg. fabrics that may be $20per metre in Australia, are just $2.50Aus on Jl. Sulawesi and Jl. Gajah Mada. Go prepared as you will often be followed by persistent women wanting to make a sale. Take your best negotiating skills with you and have water and hand sanitiser available. I suggest you go early – before the true heat of the day since the markets are hot and you’ll have to barter. Determination will pay off though if you’re on the lookout for distinctive fabrics at ridiculous prices. These market shops open from around 9am until 4.30pm. HINT: Taxi’s are few and far between in this location so either ask your taxi/driver to wait or ask a shop that you’ve purchased from to phone a taxi for you. They’re often happy to do this when you’re ready to go home. and hit ‘LIKE” to support me ~ Thank-you!! How to have your clothing smelling like Bali…. If you’d like your clothing to smell as they do when you’ve had them laundered and ironed in Bali, then why not purchase sachets of the fragrances the Balinese laundries use to bring home? These fragrant fabric softeners are readily available from the shops of Bali including Bintang supermarket, Mataharis and Carrefour. Although there are several brands available, including Molto and Rapika, “KISPRAY Ironing Aid” is a firm favourite. Kispray can be used as an ironing aid to produce smoother, fresher and softer clothing. It also has a long lasting fragrance and contains an antiseptic (alkyl dimethyl benzyl ammonium chloride) which they say kills germs. Kispray can be economical too since it’s available in sachet packs (great for bringing home in your luggage!) You only need to add water. It’s also practical since there are refill pouches available to refill the original spray bottle. A gorgeous reminder of beautiful Bali!